Apologies for the delay in updating you all about the Transcontinental. I should probably have let you know that I was the first woman in, by about two days. Which sort of means I won, unless you count the men and women together (which I prefer to), in which case I came in somewhere around 40th. I wasn’t really sure how to report this though. Partly because it seems unnecessarily smug to devote a whole blog post to my winning a race (and I don’t have time to write the long rambling race report that would reveal winning to be merely the cherry on a very large and delicious cake), and partly because – well, a lazy cycle-tourer like me shouldn’t be winning the Transcontinental anyway. I’m under no illusions that if riders like Juliana, or Sarah Hammond, or Lael Wilcox entered they’d wipe the floor with me – and probably most of the men as well. 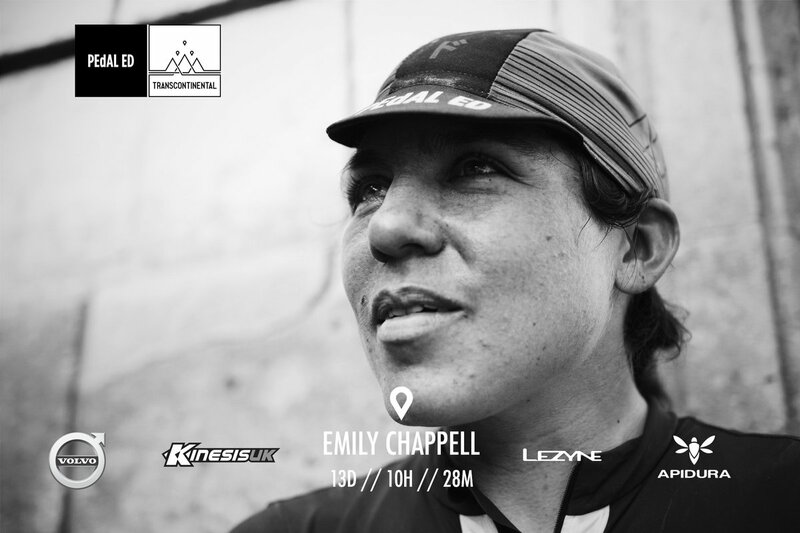 I’ve been puzzling for a while over why more women don’t enter these very long races – and the Transcon tends to have an even smaller female field than events like the TransAm (which had three women finish in the top ten this year), and the Tour Divide. I still don’t quite understand why, because to my mind the Transcontinental is the very best of all the races – it passes through more different landscapes and cultures than any other, and what’s more the checkpoints change every year, making it effectively a brand new race. There will never be an ultimate course record to beat (and records very quickly get boring, being as they are just an incrementally receding set of digits). And no matter how often you enter, the race will be a new challenge every year, with different mountains, different gravel, different headwinds and frustrations and detours, different demands on your body and mind and resources, and different adventures waiting to happen. And ever since then I’ve been on a mission to convince other women to join me. To ride long distances, to enter more sportives and audaxes, to sign up for events like Paris-Brest-Paris and London-Edinburgh-London, and races like Tour Divide and TransAm – but really, to join me on the Transcontinental, because it’s a wonderful race, because I want more company and competition, and because there’s really no reason why dozens more women couldn’t do it. So I’m going to recreate that fateful evening when Juliana, Tori and Peta convinced me to enter the Transcontinental. Well, sort of. What I imagined was that I’d get together a few women who’d done this sort of thing, invite along a few more who wanted to, or thought they might want to, have a few drinks and a chat, and gently convince them that they were no different from us. But then we announced the event (in London), and within a couple of days so many women had said they were coming that we realised there was no more space in the venue, and that we’d effectively sold out. Which is both good and bad – good in that there are clearly a lot more women interested in long distance than I thought; bad in that not all of them will be able to join us. So we (The Adventure Syndicate) are planning a few more such evenings, up and down the country. If you can’t make it to London this Wednesday, maybe you can make it to Manchester on the 8th of November, or to Glasgow on the 10th November (both dates not 100% confirmed yet). We may even do a Bristol version as well, if there’s enough interest. Keep an eye on our Events page, sign up to our newsletter, and please do get in touch if you’re interested in coming along, no matter how much or little long-distance experience you have. You’re capable of far more than you think you are. 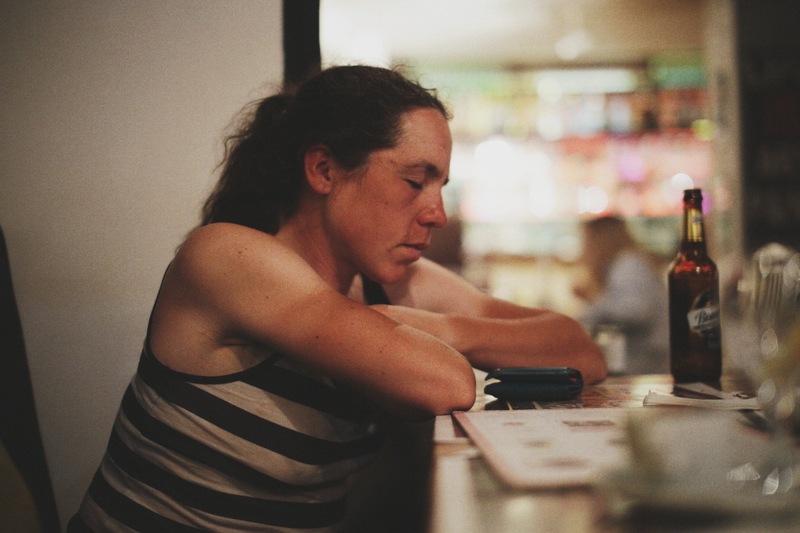 Excellent post-race portraiture by James Robertson. * But look at the statistics – look at the hundreds of women who have been murdered along North American highways, and read Vanessa Veselka’s intelligent and thought-provoking essay on the lack of female road narratives, which points out that, by 2004 “so many women had been found dead along the interstates that the FBI started the Highway Serial Killers Initiative to keep track of them.” But then, it’s probably irresponsible of me to mention this: to paint one continent as violent and dangerous just to make a point and salvage the reputation of another, especially when I’ve travelled so happily and uneventfully there myself. This is where we would benefit from pulling apart the statistics a little bit. The women who are murdered while travelling along US highways generally aren’t well-to-do foreign cycle tourers with blogs and instagram feeds and hundreds of family and friends anxiously awaiting their return. They’re more likely to be women who don’t have a home to go back to, who are on the run from something, whose disappearance will cause far fewer ripples, and indeed, might not even be noticed until someone stumbles across the body in the bushes. An analogy would be the thousands of refugee women travelling through Europe at the moment, about whose safety no one seems particularly concerned, and who are far more at risk than a Transcontinental racer, though you could lump us all together as ‘women travelling alone’ if you saw fit.